James G. McNally, Chrysanthe Preza, José-Angel Conchello, and Lewis J. Thomas, Jr.
We tested the most complete optical model available for computational optical-sectioning microscopy and obtained four main results. First, we observed good agreement between experimental and theoretical point-spread functions (PSF∙s) under a variety of imaging conditions. Second, using these PSF’s, we found that a linear restoration method yielded reconstructed images of a well-defined phantom object (a 10-μm-diameter fluorescent bead) that closely resembled the theoretically determined, best-possible linear reconstruction of the object. Third, this best linear reconstruction suffered from a (to our knowledge) previously undescribed artifactual axial elongation whose principal cause was not increased axial blur but rather the conical shape of the null space intrinsic to nonconfocal three-dimensional (3D) microscopy. Fourth, when 10-μm phantom beads were embedded at different depths in a transparent medium, reconstructed bead images were progressively degraded with depth unless they were reconstructed with use of a PSF determined at the bead’s depth. 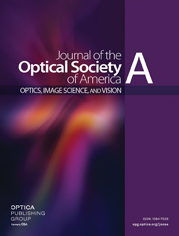 We conclude that (1) the optical model for optical sectioning is reasonably accurate; (2) if PSF shift variance cannot be avoided by adjustment of the optics, then reconstruction methods must be modified to account for this effect; and (3) alternative microscopical or nonlinear algorithmic approaches are required for overcoming artifacts imposed by the missing cone of frequencies that is intrinsic to nonconfocal 3D microscopy.